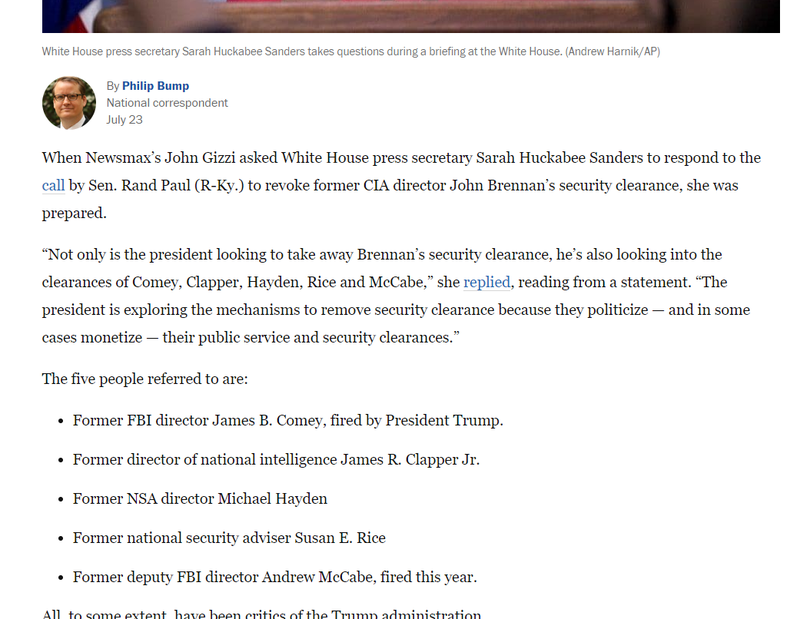 No, Russians did not get a list of Americans who'd lose their security clearance ahead of time. I'm very annoyed that I even had to write this blog post, as it's a compete waste of time, and I have a new appreciation of the term "busy work". 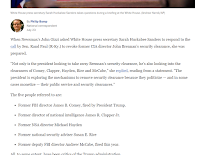 The daily ridiculous conspiracy stories coming out about Donald Trump and his administration are exhausting, and many of hem completely fake - MANY TRUE! (but many more fake) Do I support Trump? Of course not, you git, I'm a pinko-commie-Canadian covered by universal healthcare, and I'm sick and tired of my TV and Radio being saturated with Donald Trump, and crazy conspiracy stories that are easily debunked with minor research, especially when someone has already done the work yesterday, but some people don't think the dead horse has been flogged enough. Just stop it people. Stop the crazy. 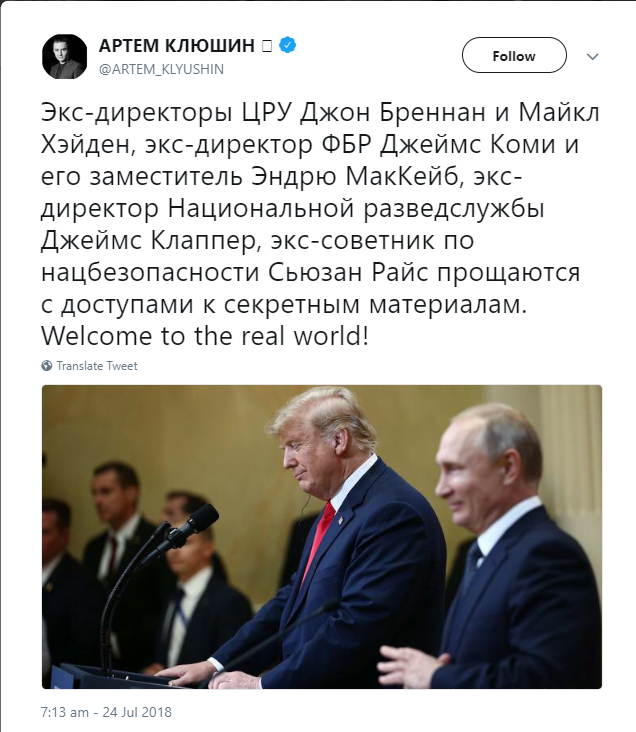 Here we have Artem Klyushin, a Russian supporter of Putin, calling out the people that Trump will name in two days, who will be losing their clearance - THIS IS PROOF OF COLLUSION*. How could he possibly know who Trump was going to name two days later?! Artem Klyushin reads English, and he has the internet. He woke up, read the news, and found out himself, possibly from the Washington Post, the names of these individuals. This is not hard to believe, at all. 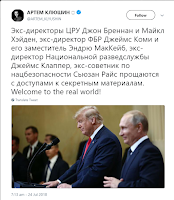 "Truthers" who are still flogging this story are sticking to their guns, claiming that even if the timeline of events refutes the "proof", there can be no doubt this was evidence of a Russian connection, and time isn't really a fact at all, it's just an opinion - or something. I cannot tell you how fed up I am of debunking this garbage. I really do have better things to do. Pardon me, there's a ship story that needs debunking.